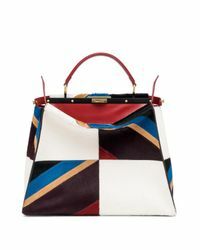 See more Fendi Shoulder bags. We check over 450 stores daily and we last saw this product for $10,090 at Saks Fifth Avenue. 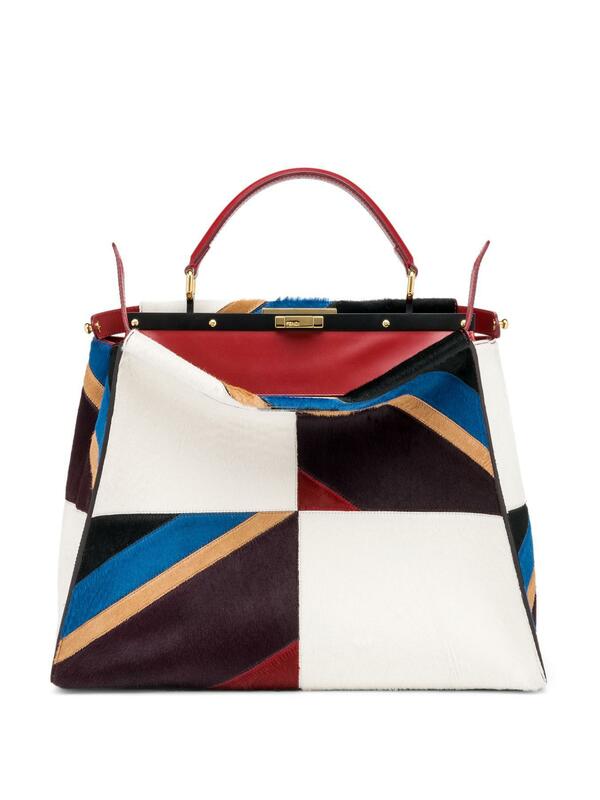 In a striking update to Fendi's signature Peekaboo design, this boldly styled satchel features multicolor panels of calf hair juxtaposed to create a geometric medley, all finished with rich leather trim. Top handle, 4.5" drop; Removable shoulder strap, 12.5" drop; Double turnlock top closure; Protective metal feet; Goldtone hardware; Expandable buttoned side tabs; One inside zip pocket; Two inside open compartments; Leather lining;.